To wrap up the 2018 year, Discmania released the MD5 mid-range. While it has become common for mid-range discs to have a wider diameter than longer drivers, the trend in 2018 was to release smaller diameter mid-range discs, particularly more overstable discs. The MD5 is one of those smaller diameter, overstable mid-range discs, and it is a very precise one. Released with a “First Run” stamp as well as with a stock stamp, the MD5 joined the ranks of similar discs released during the 2018 year– perhaps most closely related to the Innova Caiman. It has a profile quite similar to a Caiman, but in flight it does not get quite as much distance. Rather than a smooth, drawn-out fade, the MD5 has the tendency to drop its edge and fade steeply out of the sky once velocity is lost. That provides a dramatic and precise overstable fade for great accuracy when thrown by experienced players. 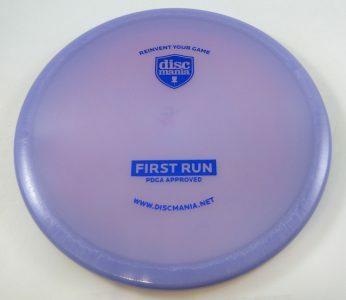 It is not a disc that would be friendly to beginners, but is designed for experienced players who are looking for an easily controlled, short-range, overstable mid. Where discs like the Dynamic Discs Justice used to stand out in this category, Discmania has added to their lineup with this strong contender in the MD5. Also to end the 2018 year, Discmania released a couple of runs of their most popular discs in fun, premium plastics. While this is not the first time these discs have been run in these plastics, they are getting a lot of love from Discmania fans. The available of these discs in these plastics is sporadic, so it is good to grab them while they are available. It is hard to know when the next run will come. 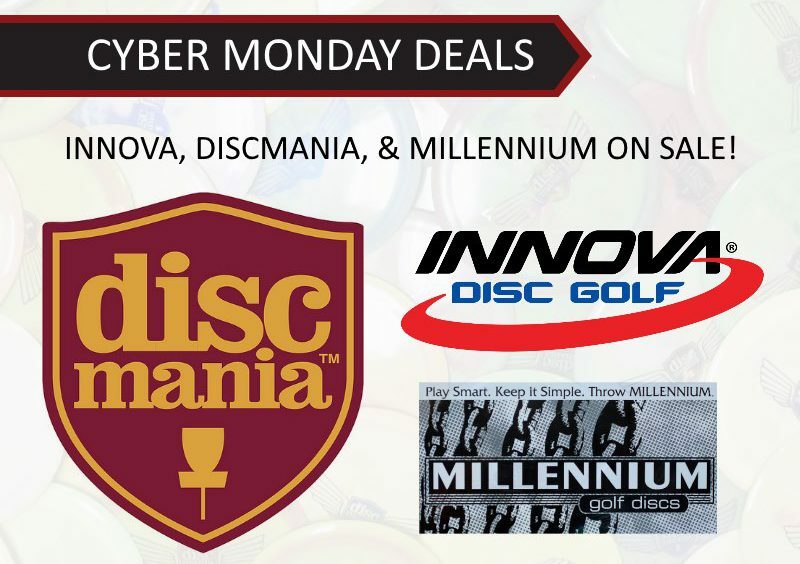 During the biggest online shopping day of the year, all discs manufactured by Innova (the biggest disc golf manufacturer) will be on sale. These include Discmania and Millennium golf discs. Discmania is one of the fastest growing brands and their discs continue to become more and more popular. Infinite Discs has among the largest selection of Discmania discs available including a huge selection with our popular Bomber and Illuminati stamps which are all on sale for Cyber Monday. Millennium also has some excellent discs including the easy distance Sirius Aries, Dyed Orion LS, and the Omega SS Putter. Shop Cyber Monday’s on Sale Discs Now. 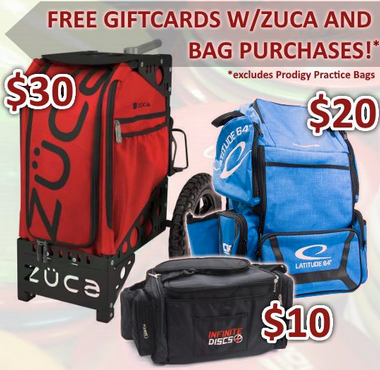 If the bag or cart you order is not in stock locally, we will have it drop shipped directly from the manufacturer. In case of drop ship, we will email you your gift card code. At 11:59PM on Monday, November 28th our huge sale will end. This is the last day to get a deals box for $62.99. It’s also the last day to get reduced shipping on all discs, so quit reading, and thank you for shopping with Infinite Discs!